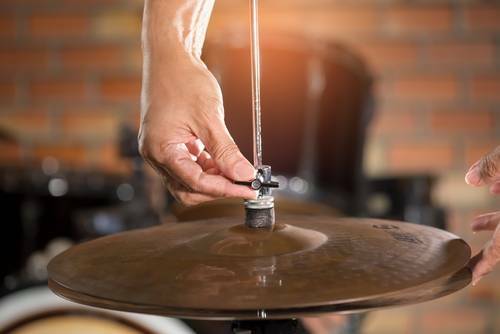 HiHats are arguably the most important aspect of your cymbal setup as you play them more often than any other part of your drum set – except perhaps the snare drum or your kick. 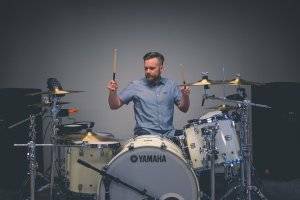 And because you hit them so often, your HiHat sound will determine the overall sound of your drum set to a pretty large extent. That means: buy a poor-quality pair of Hats and your expensive new drum kit might end up being judged as sounding creaky! So please: get the best HiHats you can afford! And this article will not only show you the best HiHats, but it also demonstrates that those don’t have to be the most expensive ones. I mean: sure, you get what you pay for, but we’ll show you 2 very good budget variants as well. HiHats, which are basically a pair of cymbals, range from about 12″ all the way up to 16″ or even 17″. Bigger is not always better in choosing the best HiHats. So, how do you know which size cymbals to get? That depends on the style of music that you want to play! A cymbal’s sound is determined by its size and weight. If the cymbal is small, the sound will be bright and crispy. This means that the sound you hear will be high-pitched and have a short sustain. Styles like punk, disco, and fusion will often utilize smaller HiHats for their crisp sounds. If the cymbal is big, the sound will be dark and warm. This means that the sound you hear will be low-pitched and have a bit of a longer sustain than a smaller cymbal. Styles like rock, metal and jazz will often utilize bigger HiHats for their bigger and more filling sounds. Cymbal companies use several different methods to produce their cymbals and each method has its own way of changing the sound of the cymbal. Some of the best HiHats I played on have been hand-hammered. This means that someone sat down with the cymbal and manually hammered it to create a unique pitch, sound, and look. You can clearly see the signs of hammering on the surface of this hand-hammered HiHat. 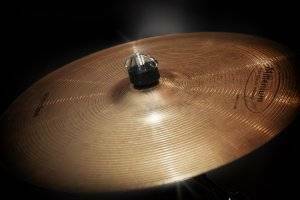 If you buy HiHats that have been hand-hammered, you will be buying a unique pair of HiHats that sound different to any other pair. You will never get a pair of hand-hammered HiHats that sound exactly the same. Machine-hammered HiHats have a consistent sound with other HiHats of the same brand and model because they have been manufactured in the exact same way. If you break your current pair, you can easily buy a new pair that sounds the same! It is up to you to decide on which means of production you prefer for your HiHats. There are sheet HiHats and cast HiHats. Sheet HiHats are created through a process of combining certain metals which are then shaped and sized. They are brighter sounding. This means they are higher-pitched and work with styles such as rock and metal. Cast HiHats are created by melting down bell bronze and pouring it into a mould. The HiHat is put through a lathe to flatten and shape, and then hammered by hand. These HiHats are darker sounding and work in styles such as jazz and orchestral music. Cast HiHats are seen as higher quality because of the way they are manufactured. Again, it is still up to you to choose the best HiHats for your particular needs. They have a crisp sound which is great for most styles of music. Meinl is one of the leading cymbal companies. These HiHats will enable you to use a popular brand, but at a very affordable price! 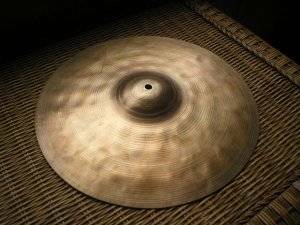 Many users state that these HiHats do not have a long sustain. This means that when hit, the sound does not ring for long. Some users complained about these HiHats being too bright, but this is a matter of personal preference. 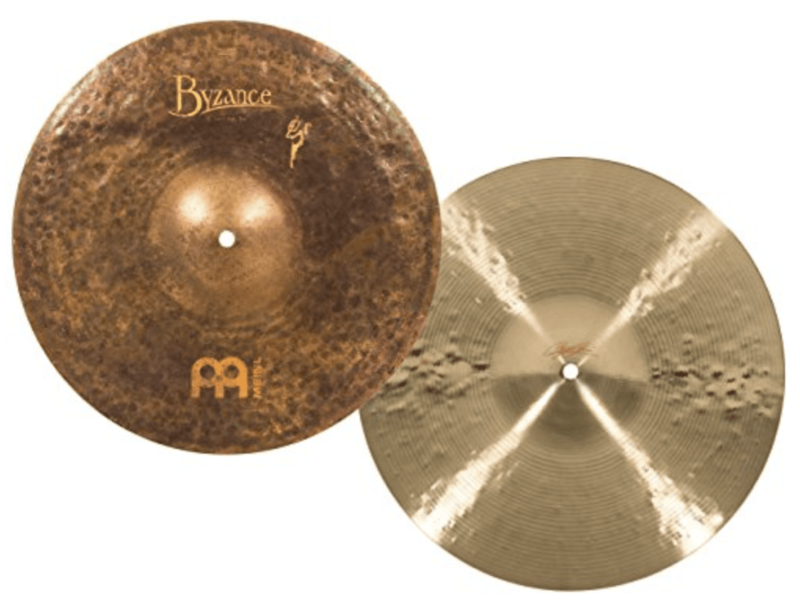 The Meinl HCS Series is one of Meinl’s more affordable lines of cymbals. They are catered towards beginners and anyone looking for low-priced, but durable cymbals. If you are looking for a beginner pair of HiHats that are great for rock, funk, jazz, and everything in between, then check out the Meinl HCS 13″ Traditional HiHats. The HiHats are thick. It is because of this that many users say that they last a long time. Something you will always want with any purchase! The ‘chick’ sound that you hear when the HiHats are struck is known to cut through all mixes. This means that if you want loud HiHats, these might be just what you are looking for. They are great for rock music. They won’t work well with all genres of music. This is due to the fact that they are so bright. You won’t be able to play soft jazz with these. I have also heard some churches complain that they are too loud. 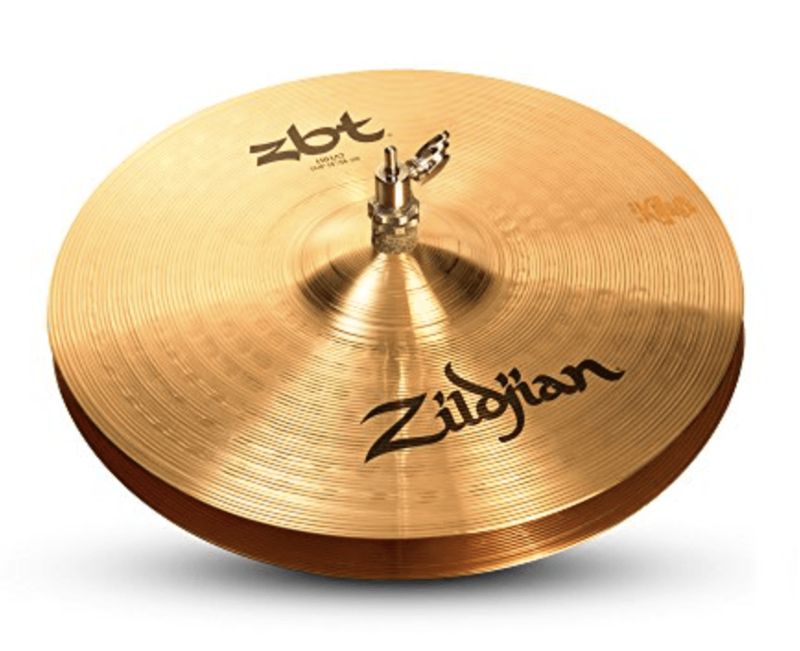 Similar to Meinl’s HCS line, Zildjian’s ZBT line of cymbals aim to make Zildjian’s high quality instruments available to beginners and drummers with tight budgets. 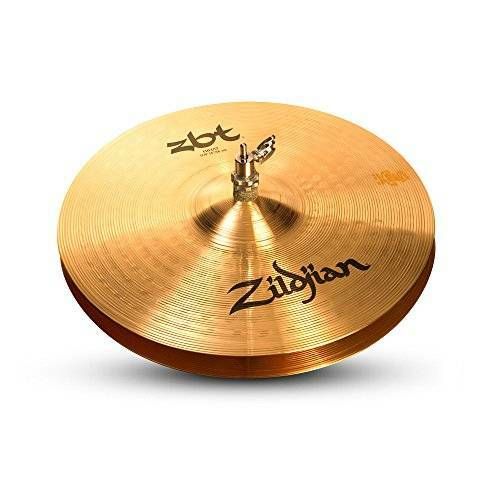 The 14″ ZBT HiHats give a sharp and focused sound, along with a bright “chick” sound that will cut through any mix. This means that in whatever band you’re playing, you will be able to hear the HiHat at all times. I personally use a pair of ZBT HiHats in my rehearsal space and I can confidently say that they work great with rock music! Many users praise the fact that these HiHats are so responsive and versatile. They are not overly washy. This means that they won’t sustain for too long when played open. They work well in venues where you have to play softly. This is a struggle for every gigging drummer out there. These HiHats come in at around $400. This is a significant amount of money for a cymbal so be sure of your decision before picking these up! Many users say the sound of these HiHats tends to get lost in heavier styles like metal. The Meinl Vintage Sand HiHats are dry and have a precise stick attack sound. They aren’t loud which means you can hit hard without being offensive. This makes these HiHats great for styles like jazz and funk! The top HiHat is sandblasted. These HiHats will cut through any style of music. You will be able to hear them no matter how loud your band is. They are great for rock and metal as they are aggressive and “in your face”. They can be too loud in some situations. They won’t cater to styles like jazz. They are around $200-$300 so just like the Meinl Sand hats, you will have to absolutely sure of your decision before investing in these. 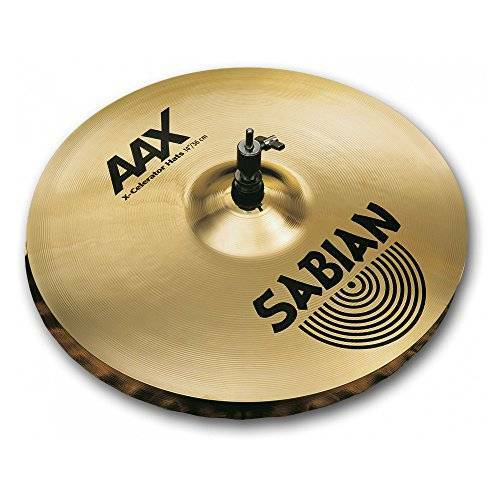 The X-Celerator HiHats from Sabian are heavy and have a sharp sound. The bottom hat has ripples in it which causes the sharpness. They are aggressive, especially when hitting the edge of the HiHats. The aggressive nature of these HiHats makes them great for rock and metal. Most users state that you these HiHats have a good sound considering the affordable price. Meinl is one of the leading cymbal companies. These HiHats will enable you to use a well-known brand without having to spend a fortune. 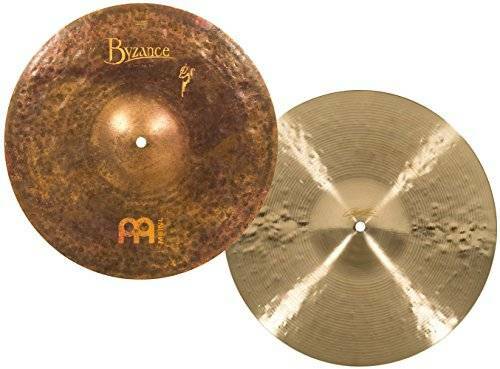 These HiHats are in the same line of Meinl Cymbals as the 13″ HCS Traditional HiHats. The difference is that these are 14″. The bigger size causes the sound to be deeper. They have the same crisp sound that the HCS series of cymbals is known for. For all-around great sound, the Meinl Vintage Sand HiHats receive our “Best HiHat 2018” award. These HiHats were designed with the help of the great Benny Greb. His artistic expression shows through these HiHats and their hand-hammered production makes them a unique and all-around great sounding pair of HiHats. If you are looking to buy one of the best HiHats on the market, then these may just be what you are looking for! If you are looking for a great pair of HiHats without breaking the bank, then look to the Meinl HCS Traditional hats. 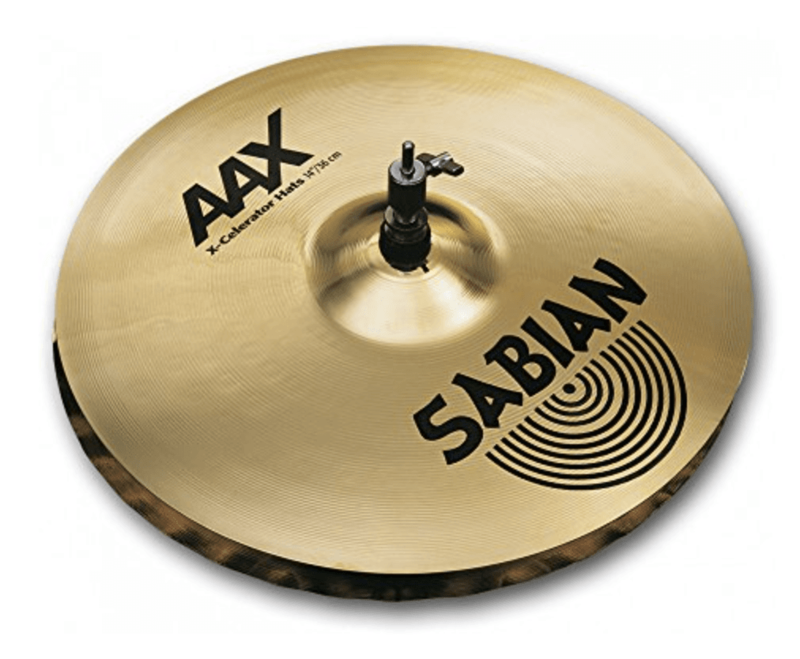 Both the 13″ and 14″ models offer everything a drummer needs in a cymbal. They are bright, crisp and warm. That basically means they work with any style of music. This is why we have given these HiHats the “Best Bang For Your Buck Award”. If you are on a low budget, but want a fantastic pair of HiHats, then look to the Meinl HCS Traditional series. Any questions? Or do you recommend HiHats that are not covered here? Let me know in the comments below and I’ll get back to you! I haven’t really been a fan of Paiste in the past, but you’re not the first to recommend the 2002 Sound Edge Hihats to me. I will check them out and add them in if they prove to be what they promise. So thanks a lot for your suggestion! Would you mind sharing the link to the deal you mentioned?